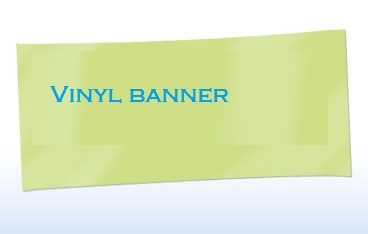 Vinyl banner comes up as an effective and inexpensive form of sales promotion. It helps you to create brand awareness, achieve marketing goals that too without shelling a lot of money on creating of marketing message. They are perfect marketing tool for advertising product or services at seminars, conferences, trade shows, campuses and busy streets. The key to success of Vinyl banner marketing largely depends on its design, so it is essential you hire a reputable vinyl banner printing company that has good experience. S S Graphics is the front runner when it comes to experience, supreme quality printing and affordable cost. Since our inception in 1997, we are obsessed with quality which has made us one of the leading complete printing solution providers in the market. In all these years, we have printed vinyl banners for numerous companies and helped them carve a niche for their product and service in the market. Our designers have extensive industry experience; first they understand the goals, objective and the target audience, then brainstorm to come up with an alluring design, unique layout and catchy message that can do wonders to your business. When it comes to cost, we understand that cost is a problem with startup businesses, even at times small scale and middle scale businesses, so we are offering the vinyl banner printing at a very cheap cost compared to other companies without any compromise on quality. Believe us our experience & expertise in designing vinyl posters will help you achieve your goals quickly. Premium quality Synthetic Vinyl 200 GSM gloss with glossy shine on one side and back side gumming. Premium quality Synthetic Vinyl 200 GSM matte with matte shine on one side and back side gumming. Banner marketing is an excellent and inexpensive manner way to gather attention ,enhance brand recognition and drive direct response from new as well as existing customers. The flexibility of a vinyl banner makes it a great medium for both households and businesses. It's best used in applications that benefit from its noticeably huge size thereby displaying all the information in an eye catching manner . While household banners can be used as party decorations or sports banners ,Businesses can use banners as POP or point of purchase displays, store signage, and retail banners to attract more foot fall. Here at S S Graphics we customise the vinyl banner that perfectly suits your preferences and helps you outshine your competitors.